Apparently, voters hate fiscal deficits, associate them with squander and want them to be cut, so that nations can live within their means. Any attempt to run foul of that essential wisdom will come to grief. So all you ‘left’ types – yes, those in the British Labour Party that means you – forget your little grass roots rebellion and confirm to the austerity norm. The UK Guardian article (August 4, 2015) – Anti-austerity message will not win over UK voters, poll shows – reports on a poll conducted internally by the British Labour Party that allegedly “shows Britain’s voters do not back an anti-austerity message but instead believe the country must live within its means and make cutting the deficit its top priority.” If you believe that you would believe anything. The poll was commissioned by a Labour MP Jon Cruddas who is undertaking the internal review of the disastrous election loss earlier this year. This is a character who is upset that British Labour Party member dare to boo Tony Blair when he shows up at Labour party conferences. He is also a member of the so-called Blue Labour, which is a curious populist niche within the Party that promotes social conservatism and anti-immigration. It is thus a sop to the various (outrageous) right-wing parties that battle for the votes of the ignorant and the xenophobic. … are likely to make difficult reading for those that say Labour’s path to electoral recovery lies in the party adopting a stronger anti-austerity stance than in the run-up to this year’s election. They don’t make difficult reading at all. 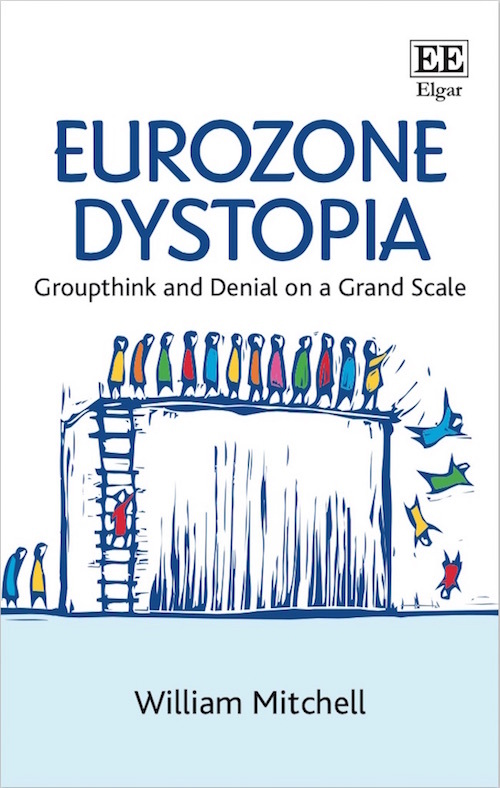 They confirm what we know about the impact of neo-liberal framing, about the use of language, about the way Groupthink patterns behaviour and how populations get trapped by cognitive dissonance. 1. 56 per cent agreed that “We must live within our means, so cutting the deficit is the top priority”. Only 16 per cent disagreed. 2. Conservative voters – 84 per cent agreed. 3. Labour voters – 32 per cent agreed, while 34 per cent disagreed. 4. Ukip and Democrat voters – 63 per cent and 58 per cent agreed, respectively. The company that devised this incredibly loaded poll question claim that “the unpalatable truth for the left is that the Tories did not win despite austerity, but because of it” thereby attempting to not only justify its poor polling strategy but also perpetuate the myth that people like austerity..
On the basis of this data, the public appear to think anti-austerity is a vote loser. We cannot ignore that. We can seek to change the views of the public, but it’s best not to ignore them … Voters did not reject Labour because they saw it as austerity-lite. Voters rejected Labour because they perceived the party as anti-austerity lite. They appear to think along these lines because all sides of politics have for the last two or more decades been hammering them with erroneous ideas about how the monetary system operates, scaring the b-jesus out of people about what would happen if fiscal deficits increased, and continuously reinforcing the frame that the government will run out of money if it doesn’t cut the deficit. Further, they have been conditioned to believe that there is no relationship between government fiscal stances and mass unemployment, the latter, largely being some alien individual problem arising from personal sloth or desire. The public has also been indoctrinated to believe that millions of workers idle through unemployment or underemployment do not constitute a nation’s resources – its ‘means’ – and so leaving them idle doesn’t constitute wastage. Apparently, the only ‘means’ that matter is the money the government itself issues and the doleful British public seems to think that is in short supply. I wonder whether they would agree to abandoning the Trent Bridge cricket test this week after day one because the scorers had run out of ‘runs’ to post on the scoreboard! I am sure the cricket-knowing public would immediately retort: “what nonsense, how can a scoreboard run out of runs to post!”. I also onder what the poll would have delivered if the question, for example, if there was some information given prior to the question being asked (perhaps explaining how government deficits stimulate sales of goods and services and help generate higher levels of income which allow us to save more without compromising our consumption plans) or whether a different question, such as “When public employment is growing in line with the overall economy, more people have incomes to spend which helps all of us” was asked. Political scientists and psychologists have long studied the phenomenon where populations appear to adopt opinions and preferences that are not only detrimental to their own well-being but are denied as being so. This is the field of cognitive disssonance and has a bearing on how ‘democracies’ work or don’t work, depending on the perspective one adopts. The idea that a particular set of public preferences should become a bulwark against which the policy agenda has to be set for the next 5 years is depressing to say the least. But it is also a defeatist view reflecting a lack of understanding of how public opinion is formed and can respond to different methods of communication, careful use of language and education. In other words, political leadership is more than giving the people what they think they want because it is clearly the case that public opinion operates in cloud of misinformation and ignorance. Progressive political leadership should really be about setting in place an evidence base to support the value systems that define the movement and using language and education skilfully to redress the framing that the conservative side of politics has entrenched and lead to poll results such as this. People generally don’t know much about fiscal deficits at all. They have been bombarded into thinking they are bad. It doesn’t take long in a controlled environment to demonstrate to people who hold these views that deficits are neither good nor bad but their necessity or otherwise depends on the circumstances. It is true that we get trapped in these metaphorical concepts (deficits are bad). But the way in which we perceive phenomena can, however, change and develop. In a cognitive framework, there are many possible ways to view a particular situation or thing. This is the area of ‘construal’. A change in perception from one way of viewing something to another is described through the process of ‘construal’. Ronald Langacker, a cognitive linguist, shows that meaning depends on a range of factors including background knowledge, an awareness of social and linguistic contexts, imaginative capacities like metaphor, and the construal that is imposed on the linguistic content. Construal is our ability to conceive and portray the same situation in alternate ways. Every lexical and grammatical element incorporates, as an inherent aspect of its meaning, a certain way of construing the conceptual content evoked. A speaker who accurately observes the spatial distribution of certain stars can describe them in many distinct fashions: as a constellation, as a cluster of stars, as specks of light in the sky, etc. Such expressions are semantically distinct; they reflect the speaker’s alternate construals of the scene, each compatible with its objectively given properties. They also draw on other “frames of knowledge” to add meaning. For example, in the case of a cluster of stars, this implies knowledge that we share about the way the sky is structured. So different construals can be achieved by drawing on different conceptualisations and knowledge structures. Deficits are bad draws on a particular experience and frame. But the concept of a fiscal deficit could be recast entirely as a investment vehicle for advancing well-being, with a totally different construal then possible. This means that we can deploy the flexibility in language to promote alternative representations or construals of things. Using one conceptualisation about A might invoke one response (for example, deficits are bad) but an alternative construal of A can easily invoke the opposite response (deficits are desirable sometimes). Policy opportunities arising from a more complete understanding of macroeconomic terms need to be communicated in a way that exploits our capacity to construe the same information in different ways. The progressive challenge is to reframe macroeconomics to ensure that the neo-liberal myths are exposed. But it must begin, not with discussions about ‘facts’ and ‘logic’, but rather broader outlines of the the social purpose of government policy.. This broad vision is in sharp contrast with the neo-liberal view of the economy as a natural entity, separated from us, which gets sick if government attempts to alter its natural course. Deficits are seen as a risk factor in this vision rather than a way of ensuring the economy works better for us. The social purpose of government policy should be articulated and narrated in ways that will resonate with and activate the frames in our brains that constrain the way we interpret information. So we might start by talking about ‘full employment’. But these mission statements cannot be a reflection of general goals that have almost universal desirability but no associated concrete actions. The debate between conservatives and progressives is not about whether there should be full employment but what that means in action. For example, does full employment mean 5 per cent unemployment or 2 per cent? Who is responsible for its attainment? How should it be attained? So progressives have to go beyond statements such as ‘Jobs for all that want to work’, which is clearly a desirable purpose. Almost everyone would agree on that. But progressives have to relate this generality to a policy action – aggregate demand has to rise by x per cent and y million jobs have to be created. Progressives have to invoke event-causation structures to force the debate to move beyond generalities such as ‘free markets will grow the economy and create jobs’. They have to clearly articulate why mass unemployment occurs and how it will not naturally cure itself. Further, by implicating the government as part of the solution they have to counter such claims that governments do not create jobs by detailing public employment initiatives that clearly create productive work. The progressive challenge in thus in two parts: (a) a need to better educate the public regarding macroeconomic matters in ways that our learning skills can absorb; (b) develop language that appeals to our intrinsic frames, which foster concern and action (such as economic justice/rights) and connect people with the economy rather than reinforce the idea that the economy is a natural construct that we should fear. So rather than talk about the desirability of full employment, our narrative would deploy the primary metaphor Purposes Are Destinations, which relates to the subjective judgement that we want to achieve purposes and we succeed when we reach a destination. So full employment is about the ‘zero waste of people’ and this destination is reached not when the fiscal deficit is x per cent but rather when unemployment is 2 per cent and zero underemployment. Rather than complain about high unemployment, we must always specify the desired destination, which links with the Purposes are Desired Objects metaphor. Accordingly, debating financial ratios such as the size of deficits merely reinforce the conservative frames about sacrifice, solvency, rectitude, and drunken sailors. We must always focus on the desired objects that relate directly to the intrinsic frames. The supportive language then might be that The government deficit rose and generated higher levels of wealth for households and firms after running an information campaign to show how the deficit links actions which result in a desired destination. This exploits the More is Up metaphor in reverse by linking the government deficit to its non-government manifestation – the rising net financial assets that a deficit provides. How many people who say deficits should be cut realise and relate that to the identical outcome – non-government wealth (their wealth) will fall $-for-$ as the deficit is cut? Progressives have to reinforce those relationships to generate different construals. The destination must be prominent in the narrative and then we must specify the causal chains through which the purposes are achieved. Causation is linked to concepts of forced movement where, for example, we might say that the government deficit is the application of a force (the injection of net financial assets), which causes a change of state (higher income, employment, or wealth). We understand the concept of forced movement as being that something would not have ‘moved’ (occurred) without some force being applied. That is intrinsic to the way we conceptualise realities. If we frame the economy as a economy is a construct rather than a natural equilibrating system which lies beyond us then we can easily appreciate that the improvement in national income or employment was the direct result of some cause (the government stimulus). People respond to the logic where Causes are Forces and Causation is Forced Movement. In the ‘economy as a natural system or deity’ approach, government regulations and interventions are unnecessary and damaging. In the progressive alternative, the same actions force movement towards our desired destinations and without the force the current state does not change and the goals are thus not achieved. We want government to act on our behalf to move us from State A (less desirable) to State B (closer to our purpose). It is important to note that the economy has no goals. They are our goals and we use, manage, and control the economy to achieve our goals. Progressives would thus frame the concept of fiscal space in terms of the idle real resources that can be brought into productive use via higher government spending and/or lower taxation. The idle resources signal that the government deficit is too low or the surplus is too large. The desired destination is zero waste and the required action is a larger deficit. There is much more I could say here. But there is plenty of scope for a progressive party to work over a number of years to change construal with respect to fiscal deficits. In the 1960s, people did not hold the same views about government fiscal policy as they do now. Neo-liberal framing led to the change. It takes time. But the capacity of construal means that nothing is fixed in stone. Meaning and understanding can change. It just needs leadership and good messages with strong facts to support. There was an interesting literature around 2005 on the difficulties in changing political misperceptions (search for Nyhan and Reifler, University of Michigan, for example). The literature helps us understand why just providing better empirical argument (fact-based rejections etc) to counter spurious reasoning may not be enough. Ignorance by definition is a lack of knowledge. But it is not as simple as that. The reason is that superior provision of facts may not alter our misperceptions at all but, rather, can more deeply entrench us in the mire of ignorance. In one interesting paper – When Corrections Fail: The persistence of political misperceptions (published 2006) – we learn of an innovative research program designed to test whether “false or unsubstantiated beliefs” can be “corrected”. It is clear that from a macroeconomic perspective it is a false belief that fiscal deficits should be always eliminated. For those who hold that view who would also endure the resulting rise in unemployment as austerity is imposed it is doubly ridiculous to hold such views. Austerity is generally bad but for the victims of it especially so. The 2006 Study (cited above) builds on a literature that shows that our “policy preferences” are often based on false, misleading, or unsubstantiated information that they believe to be true” and that “such misinformation is related to one’s political preferences”. Note the different levels of agreement above in the poll for Conservative versus Labour voters. Earlier research has shown that these erroneous preferences can, in fact, be corrected. For example, a US study on the welfare issues found that respondents had “highly inaccurate beliefs about welfare generally; that the least informed people expressed the highest confidence in their answers” and “providing the relevant facts to respondents had no effect on their issue opinions”. But, when a control group was first educated about “how much of the national budget is spent on welfare” (that is, given access to the facts before being asked their preference), the “opinions about welfare policy” changed. Belief perserverence is typically only found when the false information which people hold about something is not initially corrected with superior evidence. In general, when “survey interviewers provided relevant facts to subjects before asking about their opinions … this manipulation significantly changed respondents’ issue opinions”. Which informs the strategy I have outlined earlier in this blog with respect to changing views about deficits. The Nyhan-Reifler study went further to study how “one’s ideological preferences or partisan beliefs” influence how susceptible one is to changing false views in the face of superior knowledge and evidence. There is a massive literature on how humans are “are goal- directed information processors who tend to evaluate information with a directional bias toward reinforcing their pre-existing views”. In other words, we “display bias in evaluating political arguments and evidence, favoring those that reinforce their existing views and disparaging those that contradict their views”. When confronted with contrary evidence people may also “come to support their original opinion even more strongly” no matter how spurious that view is. So there is a lot of resistance to correcting erroneous beliefs. While we do engage in “motivated reasoning” (looking for evidence to reinforce our biases), it is also possible in a non-threatening environment for people to listen to opinions that are dissonant to their existing biases. Further, as noted, the concept of “directness” becomes important. People will change their views when they are starkly confronted with facts that contradict their false perceptions. It is not just about improving peoples’ knowledge. That knowledge has to also be related to their personal experiences using metaphors they deploy to make sense of the physical world. The Nyhan-Reifler study also implicates the ‘suppliers’ of information as being as important as improving the knowledge held by individuals with misperceptions. So if those who push out the false information are directly challenged and undermined their reputation suffers. Here a party like British Labour, as a large institution, has a massive role to play pushing out a different narrative, using different language, and learning more about the way metaphors can be constructed and combined to encourage a different construal. Merely rolling over because a poll tells us that people do not like deficits after all sides of politics have hammered that message for some years is a sign that political leadership is lacking. I can tell you that people hate austerity. They hate the risk of poverty, of joblessness, of loss of income, etc. The challenge is to link these hated destinations with the right purpose and causal chains. Of course, conservatives who benefit from austerity will never alter their views. But last time I counted, they were in a political minority (of a small percentage cohort). There is huge scope for British Labour to take this challenge on directly. Taking the view that they are weak on austerity would be a total disaster for the British people. You’re right of course, Bill. But I do have big problems trying to convince even the more progressive of my family and friends on the validity of MMT. I do have quite a few family members who aren’t at all progressive in their views. They aren’t particularly wealthy and austerity economics isn’t at all in their interests. They may occasionally vote Labour – mainly they did when Tony Blair was PM but they didn’t like Brown and have probably voted Tory or UKIP in the last couple of elections. Usually I stick discussing football but if I’ve had a couple of drinks I do tend to drift on to political and economic issues. They look at me as I’m totally bonkers! They make me feel like Owen in the Ragged Trousered Philanthropists! I’m just an ultra-leftist with very weird ideas to them. I do understand why politicians like Jeremy Corbyn tend to play it safe. A more interesting exercise would be to take some people, poll them, then educate them, then poll them again. Because the underlying attempted propaganda message is that you cannot change people’s mind on this issue, and therefore must pander to their prejudice. Hence why, in the UK, we still have Section 28 preventing the mentioning of homosexuality in government buildings and gay marriage is still banned. Nothing ever changes from hard right political views once the reality is explained. People seem unaware that they live in a debt money zoo and not a equity money Savannah . The Irish fiscal treaty referendum result of 2012 proves this. Having said this a negative result for the money powers current plans for Europe would not matter a jot other then adding more bad optics to the illusion that is democracy in a system set up to destroy the commons at every turn. Try telling people they need fiscal debt growth to overcome the waste inherent in the capitalistic system. Provision for depreciation is currently nearly 30 billion euros and growing again in Ireland. Ireland is a small country. Productions function in a capitalistic system is clearly not to service intrinsic demand. well, I understand that, as the oligarchic control of the mass media has achieved to influence the public discourse so as to make people believe that a state, a country, a government must behave like a private household as it is subject to the same constraints. I live in Germany and that is absolutely common sense, it’s a deep rooted belief, morally bolstered, prevalent not only among conservatives, free-market liberals and right wing social democrats but also nominally progressive groups such as greens. As debts, deficits are seen as morally unsustainable, even by formally highly educated people, as a burden to future generations. On this matter, power related ideology has succeded to shift a core issue of political economy onto a cultural moralistic ground. It’s very hard for any political subject to counteract this narrative reproduced daily by the mainstream media discourse. The audience could cope with, and understand, the reality of deficit and surplus budgets, when I taught a pub politics discussion group. The bit that they found impossible to accept was the idea that their taxes didn’t pay for the NHS, education etc.. One man was outraged that I was suggesting that the cheque he had signed for his tax was unnecessary. Another wailed that she liked paying her taxes for the welfare state. It was instructive to say the least. A very sensible article, Bill. We are not getting traction and your suggestions should be followed. When I write now I preface my work with “We are a society not an economy………” Or something like that. Then as I did earlier today, say MMT can support full employment, and a living wage for all without compromising Defence spending etc. [things the Neo-Liberals wish to support]. I will take it further now your ammo is available. here is another talk in the same vein just appeared! Of course the consequences of a predominantly monetary illiterate UK electorate believing the government should always balance its budget or books is that the only alternative source of money creation for the UK economy is therefore a “monopoly “, the private banks through loan creation. Ask the UK electorate without mentioning the private banks if they are happy to pay “rent” on every single penny they’ve worked for till the day they die to “monopoly scroungers” and the reaction would be “do you think we’re stupid!” Yet that is precisely what they unwittingly do in supporting the NeoLiberal ideological argument for austerity. They are paying “monopoly rent” to bankers and the wealthy who invest in banks. From a democratic point of view that is an abject surrender of (collective) power! The Bank of England could do much to explain to the public the purposes of taxation and government bonds to the British electorate but this is a “conflicted organisation” in terms of the interests it should serve, the financial sector or the public, and in consequence doesn’t do so (It had ample opportunity to do so in its first quarter bulletin 2014 on money creation but didn’t do so. The language in their paper money creation is very carefully guarded and avoidant!.). If Jeremy Corbyn or any other progressive Labour Party leader gets to power they must reverse the independence of the BoE and find a way of making it more accountable to the electorate whilst avoiding its misuse by politicians of the “must have power whatever the cost” hue. Absolutely right! (of course). But the question is how can this situation be changed in practice? In my experience trying to explain the basics of MMT to “ordinary” people is a fast track to scorn and ridicule. Even the idea that money is created is seen as plain stupid (“If it can be created why isn’t everyone rich, then?”). And the ghosts of Weimar and Zimbabwe are like a millstone around the neck of MMT. The educational task is huge, gigantic. What “progressives” need is a structured approach with good examples of how MMT translates into practice at a level people can relate to directly – not talk of central bank operations and sectoral balances. Even talk of “social purpose” is construed as ultra left jargon (“Sorry mate, I don’t understand what it means for me”) . 20 years of neoliberal propaganda means that changing peoples views on debt/deficit etc is akin to trying to persuade people to change their religion. It can be done but it strikes at the heart of what people think they know. It’s a long term project so, the sooner people much cleverer than me start to design a programme to do it, the better! Good post. Even dealing with really progressive people I’m struggling to convince them on MMT as its just so far out of the mainstream discussion it’s very hard. There is a really deep moral and instinctive belief of how money should work underlying people and I could almost argue it could even go so far as to be a human genetic trait that biases people that way. I’m still trying to collate a list of questions but inflation seems to be a sticking point right now even though I do not believe it to be an issue myself. The reality I believe is that the super elite bankers really want depressed economies like we have now so they can control and buy more of what they want around the world possibly even because they know that climate change and resources constraints of the planet are going to be stretched and may even want to slow everything down. I don’t know if they are that smart or not but it would explain a lot if true. The other issue is the control of the media by the elites that really are just using it for their own propaganda. We can only hope social media can help break through that but I think people are being bombarded with information these days more than ever in Hunan history and it’s just getting harder to explain difficult concepts like MMT and all the other economic jargon that goes with it like inflation etc that people don’t understand. We really need to keep the whole thing simple and I believe things like a job guarantee and basic income are where the debate can hopefully cut through. Funding of political parties by donations is also another issue which is going to stop democracy from working properly. I don’t have the answers bit feel public enforced broadcasting of political ads would be a good start. I would love to hear your thoughts on political funding and MMT Bill. I can only assume MMT would say but up all free advertising space or similar but it could crowd out the private sector and overly compete? Fans of austerity are in decline as less and less opportunity remains available for grabs and the safety net simultaneously evaporates. Unfortunately, the classes do not arrive at the conclusion they are all caught in the same life sapping black hole until they see how they are getting closer to the lower rungs than the upper rungs on the economic ladder up as time passes. @Sue Davies: I’m not sure how things get paid for where you are located. Where I live in Canada, the provinces are responsible for much of the bill for health, educaton, welfare, so it is literally correct that (provincial) taxes and the taxpayer do pay for such things. That’s best addressed by starting out making it very clear that the federal government is the only issuer of real money; so when it’s budget is balanced or in surplus, and in the abscence of a trade surplus, there is a good chance that there is too little aggregate income for provincial taxes to support it all without themselves running into debt management issues; especially in the case, as it is in Canada, were the central bank is not issuing loans to provinces at zero interest as it should according to act of parliament. Federal taxation should be limited to what is neccesary to fix the price of money in relation to real goods and services, whilst maintaining full employment. That’s how you get a national economy running on all available cylinders. Many are in complete agreement, Bill. The effort you envision has to start in Kindergarten, to gradually get us out of the compounding hole of endless, expensive repair instead of cheap prevention. I keep experimenting with certain phrasings, as in this blog post. Short & sweet, for the US J&J Sixpack, and to recruit more scientists to the neglected topic of fiscal policy. “[Where Can We Get Any Fiat]” asks Maya MacGuineas. Studies in Cultural Tourettes Syndrome. Neil, such before and after research has been done, some of it excellent and the results robust. If we think in terms of resources, we do of course have to live within our means, and if the UK economy was calling on resources which just weren’t there and there was a real deficit then of course the statement would be perfectly true. But it’s not at all true in fiscal terms as we on this blog all know. So how would the poor researcher cope with that sort of answer? Would I be put down as agreeing or disagreeing? We somehow need to get prominent MMTers to make educational programs, explaining this kind of difference, the type the BBC does so well. But instead of Brian Cox leaping around the world at amazing speed, we’d instead have Stephanie Kelton and Bill! To complement Harry Frankfurt’s wonderful essay of 2005, which has a companion volume, On Truth (2007), there is, more recently, Aaron James’s As*holes: A Theory, which has as an appendix, A Game Theory Model of As*hole Capitalism (2013). All are philosophical journeys with a rather obvious satirical edge to them.Yet, they remain serious studies of their subject matters, with James paying due attention to political issues. Sorry, I meant James paid attention to issues concerning political economics. People have come alienated from what real economy is, how we manage real resources. People live on “money”, aka pay checks. It’s a long way from an agricultural environment where real resources is everything. Of course people pay for common services like health care, those resources aren’t created out of thin air. They pay by limiting the consumption space theirs pay check otherwise had allowed. When I told them they were on the money but most people didn’t think that way they were very puzzled. What’s the purpose of the political parties of the left if they are nothing more than a cheap knock-off of the right? They need to state the obvious consequences of austerity. The real world evidence is everywhere and to millions of individuals, it is real. The left needs to ignore the “deficit” and “how to pay for it” type criticisms. These false choices etc. have no basis in reality. Paying attention to such comments only adds credence to myths. All that needs to be done is to publicly rebuff the critics and flat out state, PROVE IT. Prove the downside to investing in the NHS, prove the downside of eliminating poverty, prove the downside of full employment. Prove the catastrophic effects of a meaningless national accounting term, ” the deficit”. Proof will not be forthcoming as there is none. Of course there will be the usual what ifs’, buts’, and such, however, the critics cannot prove their assertions, period. The left is allowing the right to define them. there are two ways to counter the deficit hawks. One to refute the household analogy .Historical reality is potent. 10 for over 400 years’. But of course monetary mechanics will always run into real power relationships. to undermine the spending and taxation powers of governments. Household analogy is correct applied to society’s available real economic resources it’s the abstract financialization of the real economy that is wrong. Economic reality is lost in translation. The discussion have to be realigned to the real economy every time it drifts to the abstracts of finance. Just as the powerful narrative of applying the household analogy to abstract finances another narrative that somewhat simplifies the real economy can be applied. Its all about propaganda and political will power. The problem is that there is no political force that is interested in that, what goes for left, like social-democracy these days is not very interested in that. Some odd figure pop up now and then but is soon marginalized, not least due to they not really challenge the neoliberal paradigm. The bank’s deficit is the player’s surplus and sums to zero. The bank cannot run out of money. Too much money or too little money in the game would ruin it. Tax removes money from the game. Passing go adds money to the game. More boards with non-convertible money would introduce the external sector. People start to see the nature of our floating fiat currencies pretty quickly because they have seen something very similar before. The household budget analogy is immediately challenged. Interesting ideas, all. Many thanks. I will try them out and report back from my very small sample. I don’t understand why we even talk about in terms of debt/deficits. That is neoliberal framing. Govt debt is private sector asset. It is wealth to the private sector. If people were asked, are you in favor of government increasing the wealth of the citizens, not many people would be against. But they are against deficit spending without realizing it is the same thing! Another problem is that people erroneously think that there is a fixed sum of money in the economy that gets loaned around and somehow magically generates all spending. That is why they don’t believe in “printing money”. But if you explain to them that money supply is in constant flux, then idea of government issuing money by spending more than its income became easier to accept.